Are you a flower junkie? What's a "Flower Junkie"? “A Flower Junkie is an individual continually learning about floral design while striving to find the most beautiful blooms God bestows to create and share original works of floral art”, says Amy Lynne Dunlap creator of FlowerJunkieJourney.com If you’re looking for some behind the scenes tips about the floral world. 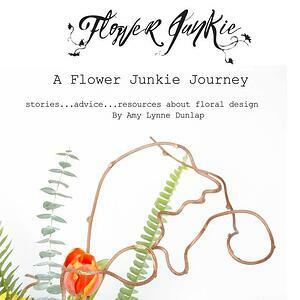 You will enjoy Amy’s book titled, The Flower Junkie Journey! Being a florist is truly a journey & we are passionate about helping flower industry professionals. If you've been considering a solution to run your florist business, look no further... Details has all the features to help you do more and earn more. Launched in 2015, the app streamlines proposals, ensures clients are profitable down to each arrangement and simplifies the payment process. Growers and wholesalers benefit too, with additional business from in-network florists, volume predictability, and greater customer loyalty.